Welcome to SMI Coated Products Private Limited. Amongst India’s largest label stock companies, we, at SMI Coated Products Private Limited, see ourselves as a solutions company in label stock. We put strong emphasis on customization for our label processor clients, in order to deliver best-fit solutions, not just nearest-fit label stocks. Product, service & delivery are the three cornerstones within which we function. Add to that dynamism & flexibility. Your need is our challenge & every requirement that you may have, is an opportunity for us. We are very particular about partnering our customers in their best endeavors. SMI brings packaging solutions in sheets & rolls, encompassing water-based & hot melt alternatives, based on packaging surface suitability. SMI Coated Products Private Limited has grown in sync with the dynamic growth the label industry has witnessed in recent years. With a strong customer-partnership orientation, we have always maintained a proactive flexibility in offering solutions for existing & emerging packaging challenges through our label stocks. Our customers' achievements & needs are the operating drivers for us, based on their sense of relevance, not just our own. This customer focus is incorporated as a resolve in SMI’s stated positioning of: "Consistently Relevant Solutions", something that stays as a vivid operating & service reminder with all of team SMI, headed by the company’s Managing Director, Ajay Mehta. As a registered private limited company since July 2004, SMI has moved into a fast growth track that has, in its blueprint, not only geographical expansion & greater penetration across India & several other markets, but also a focused approach to offering innovative solutions on the cutting edge of market needs. An ISO 9001:2000 certification & a highly efficient ERP network assure that, among other things including customization, SMI delivers on quality & specifications precisely, on time, every time. First time & then on every repeat order thereafter. The stock will be exactly the same as before, calibrated to the finest detail. Films are recommended for applications where better durability & resistance against external environment such as chemicals, oil & water is required. SMI offers a wide range of Filmic Label Stock solutions using Acrylic Adhesive & Rubber Based Hot Melt Adhesives. PP (Polypropelene) Films are slightly stiff in nature. This characteristic is suitable for slightly large/ mid-sized labels. PP labels are used for labels of Hair Oils, Cosmetics, Lubricants, etc. SMI offers Top Coated PP Label Stock solutions in Clear, White Opaque & Metallized finishes, using Acrylic Adhesives & Rubber Based Hot Melt Adhesives. PE (Polyethylene) Films are flexible films & this characteristic is used in labels for containers having high contours & “squeezability”. 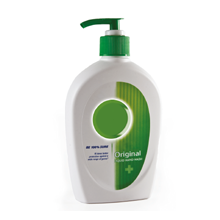 PE label stocks are used for labels of Liquid Soap, Shampoo, Gel, etc. SMI offers Top Coated PE Label Stock solutions in Clear & White Opaque finishes using Acrylic Adhesive. 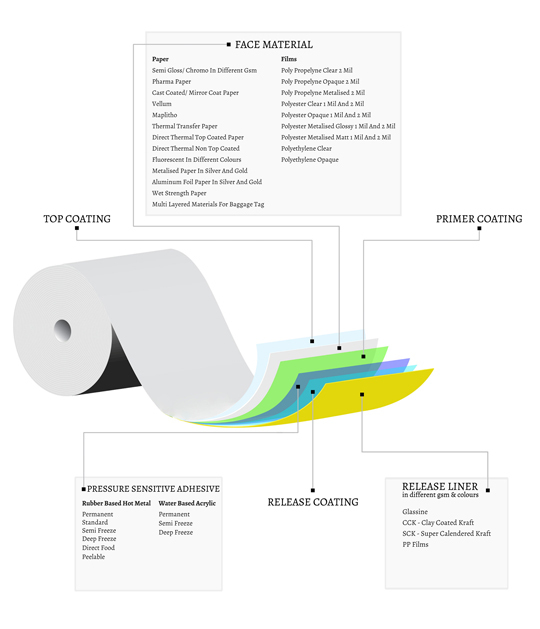 PET (Polyester) Films have high stiffness & are generally used for large sized labels. To increase flexibility, 1 Mil films are used. PET 1 Mil films are used for labels of Pens, Pharmaceutical Products, etc. PET 2 Mil Label Stocks are used for labels of Hair Oils, Logistics, etc. SMI offers PET Label Stock solutions in Clear, White Opaque, Metallized Glossy & Metallized Matt finishes using Acrylic Adhesives & Rubber Based Hot Melt Adhesives. For the lubricants industry that requires large sized labels mostly for HDPE containers, SMI offers a range of high quality products in water-based & hot melt adhesive variants. The stock comes in the requisite higher grammage of substantial stiffness face materials to dispense on automatic dispensers. The quality of release-coated liners used is, of course, of a very high quality to ensure smooth dispensing of large labels. The Pharma industry’s label requirement is large in range and variety, since surface materials span across HDPE, polyethylene, glass and some fancy label surfaces. For label stock, requirements range from low GSM with sufficient stiffness to high GSM with supple flexibility for contouradhesion on small vials. Special adhesives developed for the SMI Pharmax range of label stock ensure strong adhesion and suitability for low temperature applications. The FMCG (fast moving consumer goods) industry requires a large variety of labels. 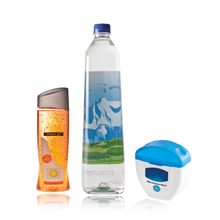 Soap, shampoo and hair oil labels need different types of face materials to be retail-shelf attractive. Hair oil label stocks need special adhesive to withstand oil spillovers. 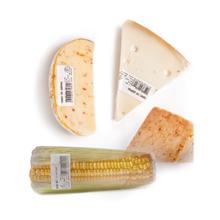 SMI Consumex offers a wide range in label to cover the consumer industry requirements, with special attention to quality and adhesive suitability. Our range of label stock for the EDP industry includes a face stock variety in uncoated papers, one-side coated papers and films, capable of registering fine bar code print lines. Our release-coated liners make for smooth dispensing and the adhesive types are suited to varied substrates, delivering excellent bonding. 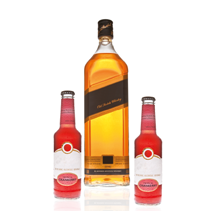 For the liquor industry, SMI offers a range of attractive face materials including cast-coated, matallized, aluminium foil and one-side coated papers. The adhesives used in the stock are suitable for PET, glass and other containers. 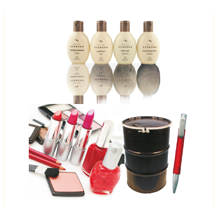 For the burgeoning cosmetics industry, label requirements are vast and varied. SMI caters to these requirements in label stock ranging across hot melt, water-based and filmic variants. Appropriate adhesives ensure long-lasting label performance. Identification labels with consumer durable products need to be filmic in order to last the product’s lifetime. 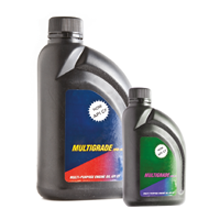 Excellent quality label stock from SMI, with appropriate adhesives, ensures life-long label performance. For applications where the Product/ Duplication has to be protected. SMI offers various types of security solutions like Tamper Evident, Destructible &its Patented Products. Self adhesive labels are laminated carrier materials and are produced from Label Stock materials. 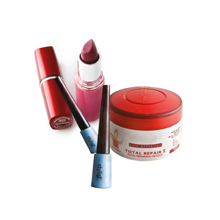 Label Stock materials consist of a face material, pressure sensitive adhesive and release coated liner. Self adhesive labels system is better than other label systems which either require wet adhesive to be applied or to have the pre-coated adhesive activated before application. 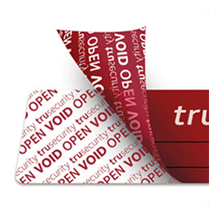 The desired properties of accuracy, convenience and versatility are easily achieved in self adhesive label system. Self adhesive labels have wide range of applications like primary packaging labels, point of purchase labels, inventory and distribution centre labels, mass mailing labels, etc. The designing of the Label Stock depends on type of printing, speed of dispensing unit, applied temperatures, properties of the applied surface, texture of the surface applied on, shape of the surface, size of the label and also the service temperature. 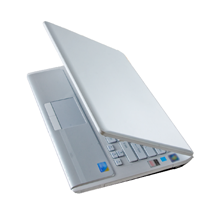 To cater to these various applications we offer more than 200 different products. Contact No* What's your Best Number to Contact You? • The utilization of natural resources as a part of its production process. • The enrichment of local community through the creation or employment opportunity. • Transformation of the landscape due to raw material extraction or waste product storage. • And more recently the greatest concern has been with climate change & the way in which the emission of greenhouse gases are exacerbating this. It can be seen therefore from these examples that an organisation can have a very significant effect upon its external environment & can actually change that environment through its activities. Any organisation operates in a Social Environment & the Corporate Social Responsibility (CSR) is the way & means through which the Corporate can repay the obligations which the society has made to it by contributing the resources in its various forms as required for the efficient operation of the business. Corporate Social Responsibility is strongly connected with the principles of Sustainability; an organisation should make decisions based not only on financial factors, but also on the social & environmental consequences. Therefore, it is the core corporate responsibility of SMI Coated Products Private Limited to practice its corporate values through its commitment to grow in a socially & environmentally responsible way, while meeting the interests of its stakeholders. SMI Coated Products Private Limited is vigilant in its enforcement towards corporate principles, which the Government of India has mandated through Companies (Corporate Social Responsibility) Policy, 2014 & is committed towards sustainable development & inclusive growth. The company endeavors to make CSR a key business process for sustainable development. It constantly strives to ensure strong corporate culture, which emphasizes on integrating CSR values with business objective. It also pursues initiatives related to quality management, environment preservation & social awareness. The Board of Directors of SMI Coated Products Private Limited has constituted a CSR Committee consisting requisite number of directors. The committee shall carryout the legacy of the Company in promoting education & philanthropy, by establishing a transparent monitoring mechanism for implementing the CSR activities & projects, to be undertaken by the Company. • Formulate a CSR policy of the Company, indicating the activities it would undertake, in line with the prevailing rules/ laws, etc. • Indicate the amount it would like to spend in the above stated activities & recommend to the Board. • Conservation of natural resources including soil, air, water, animals etc. • The Company reserves the right to modify, cancel, add, or amend any of the above rules/guidelines. • Any or all provisions of the CSR policy shall be subject to revision/amendment in accordance with the guidelines on the subject as may be issued from Government of India, from time to time. Andheri East, Mumbai 400 072, India.